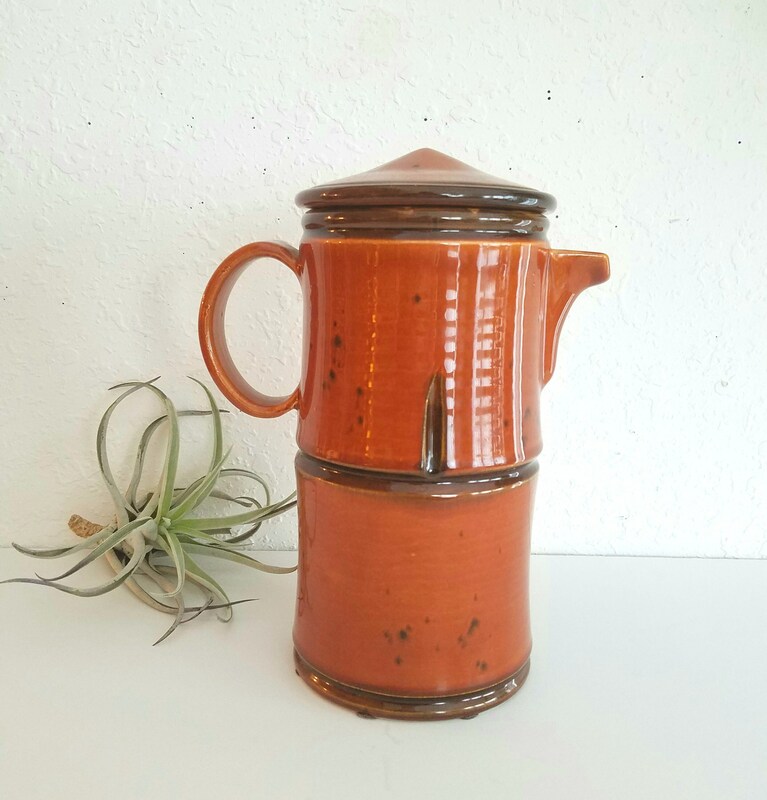 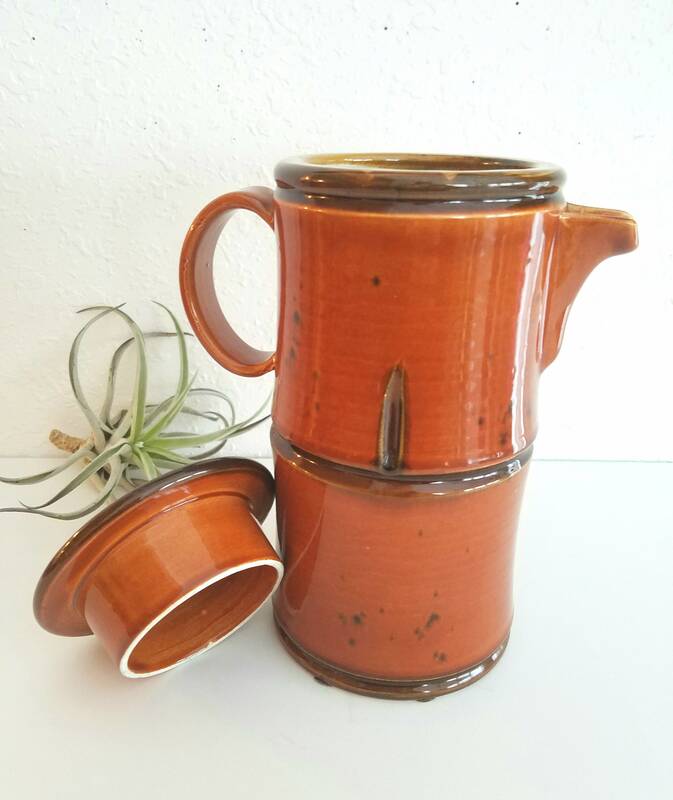 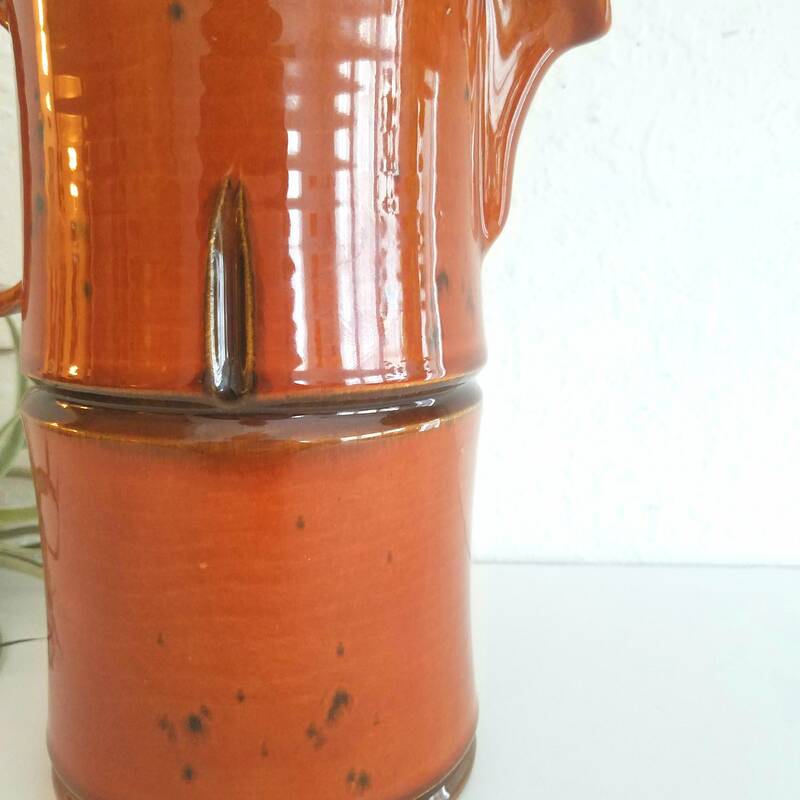 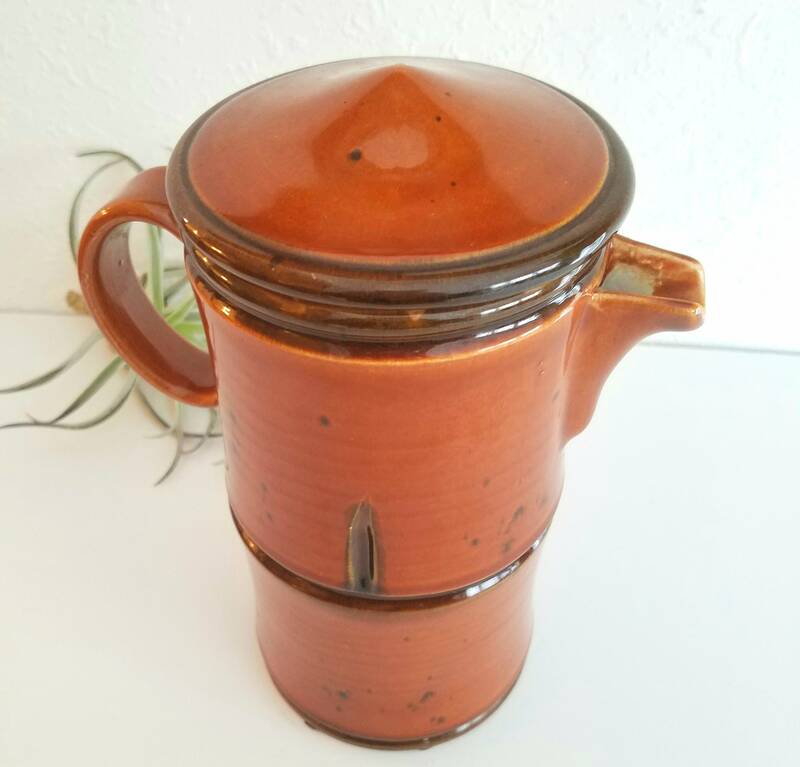 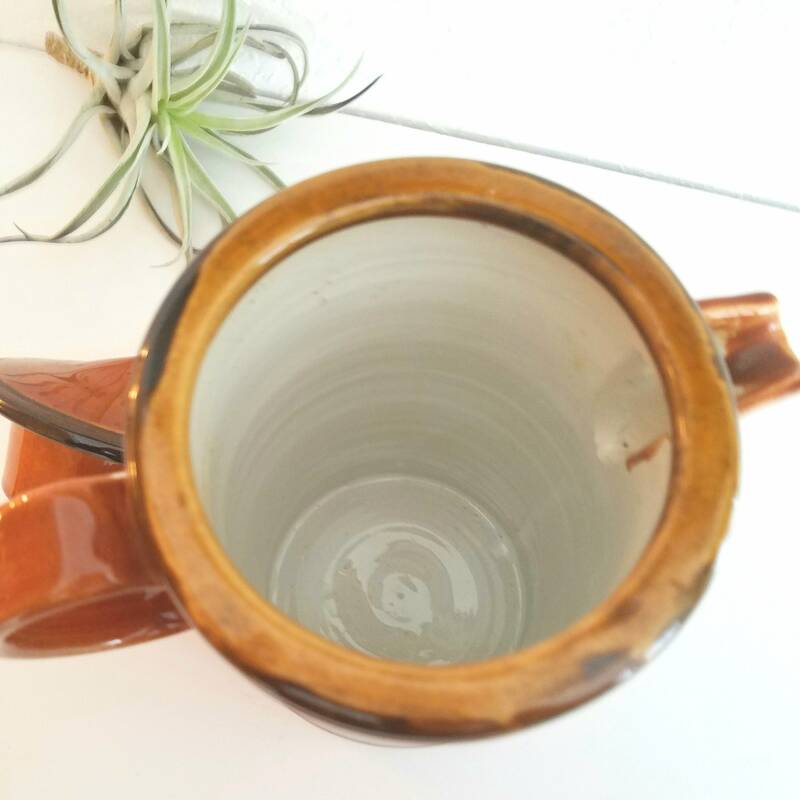 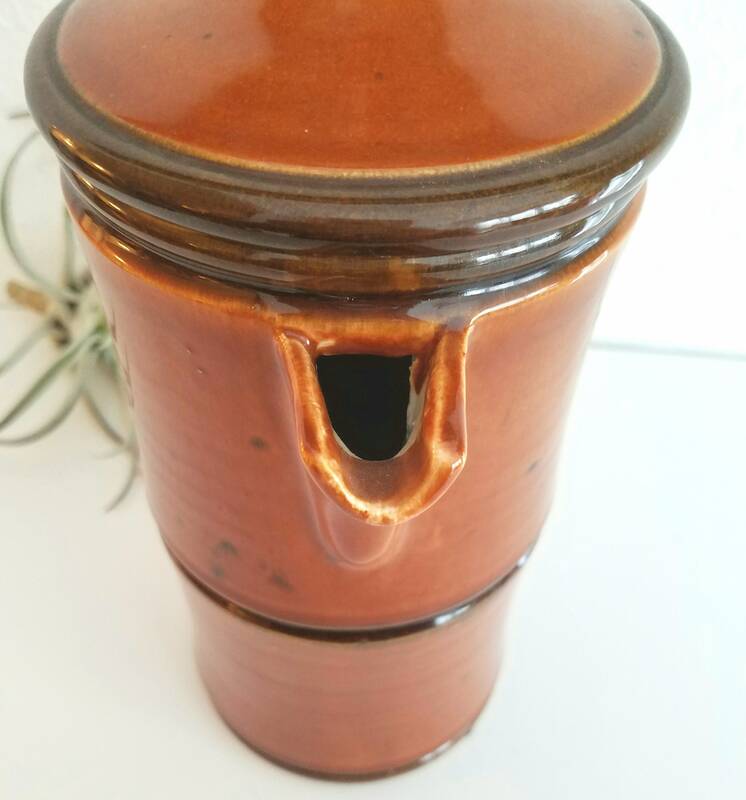 Unique vintage brown glazed Tall Pitcher with Lid. 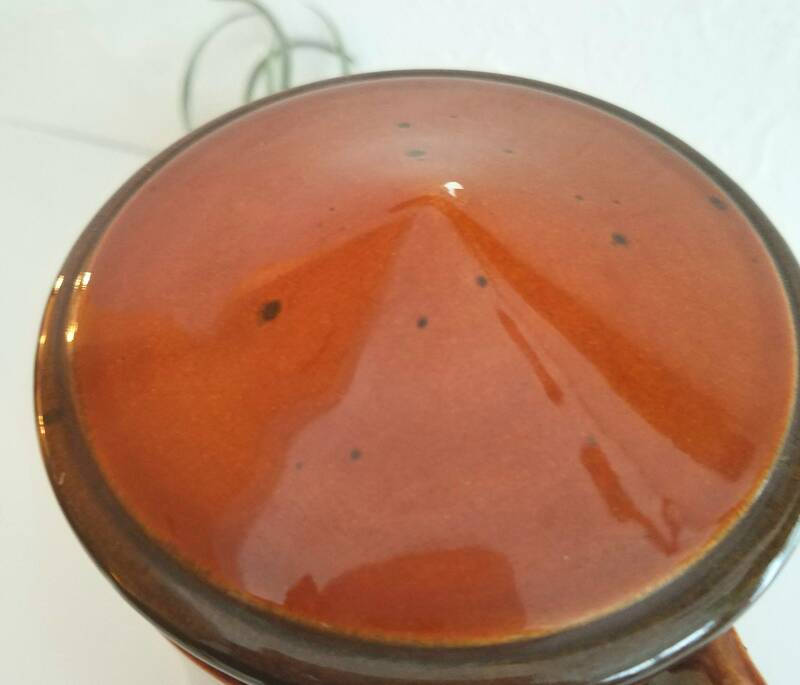 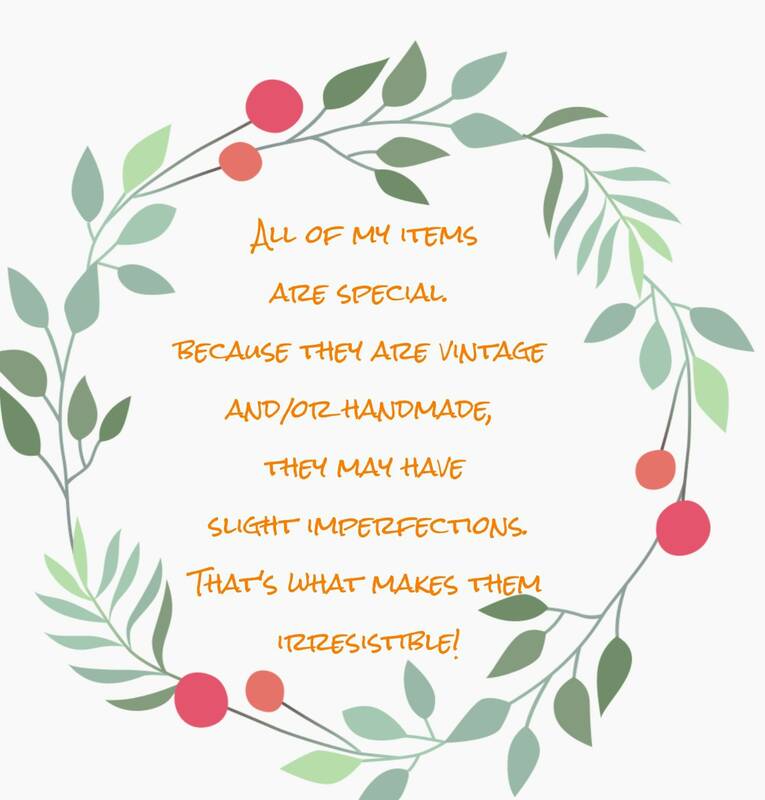 This vintage piece is has a couple of small chips but is not too noticeable. 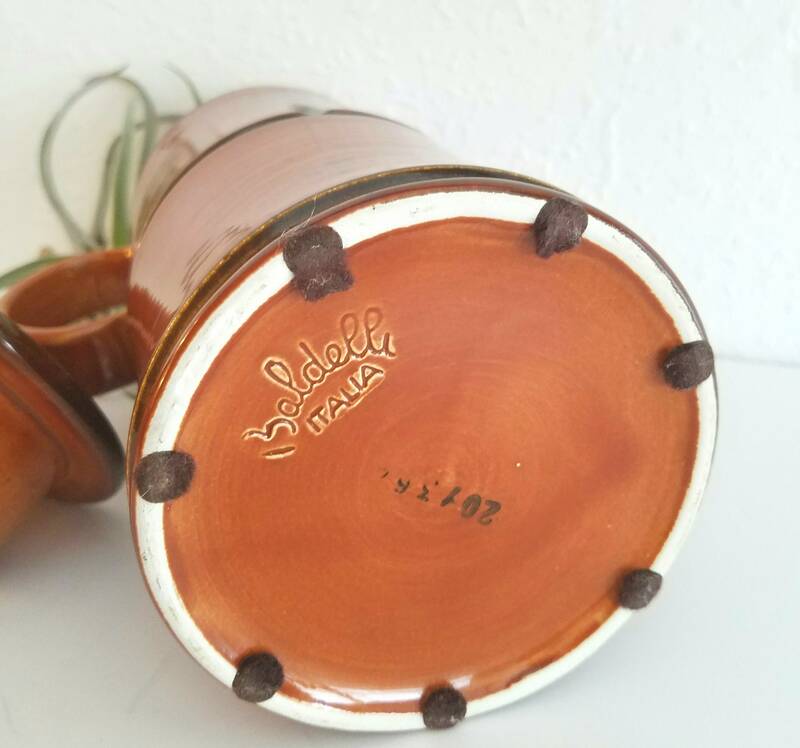 This is such a great Italian piece and is a great collectible item.